La Turballe is a village and commune lying 7.5 miles (12 kilometres) north-west of La Baule. The nearest railway station is at La Baule, which is on a branch line from Nantes, an important junction on the Paris-St.Nazaire-Croisic line. The communal cemetery is on the eastern side of the village, behind the church. 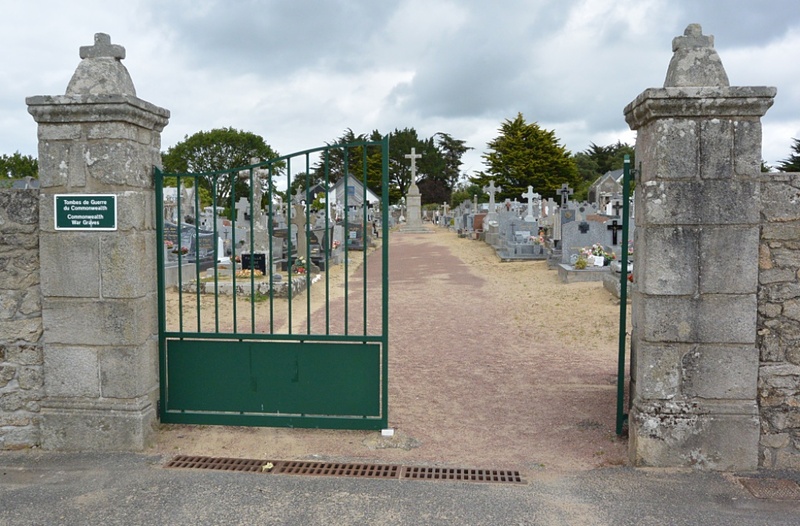 It contains the graves of four British soldiers, one of whom is not identified. They are rear, and left of, the entrance and near the boundary wall. 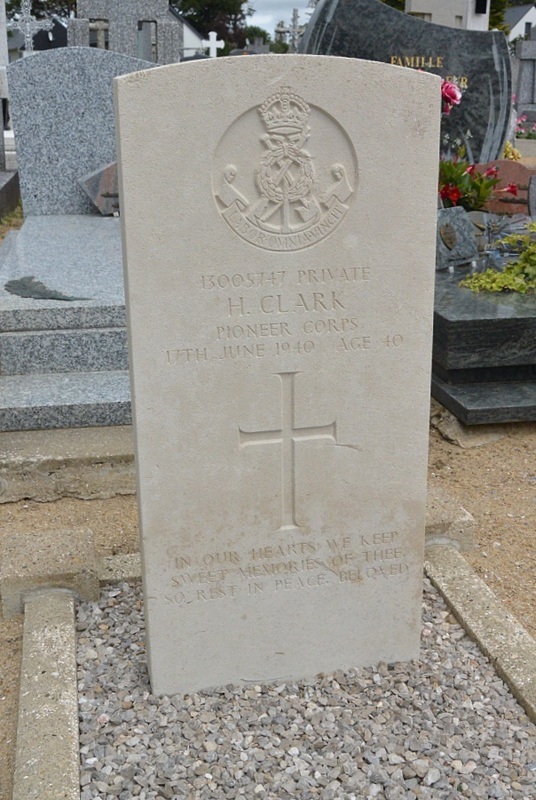 13005747 Private Herbert Clark, Aux Mil. Pioneer Corps, died 17th June 1940, aged 40. Son of George and Hannah Frances Clark; husband of Mary Jane Clark, of Beckwithshaw, Yorkshire. 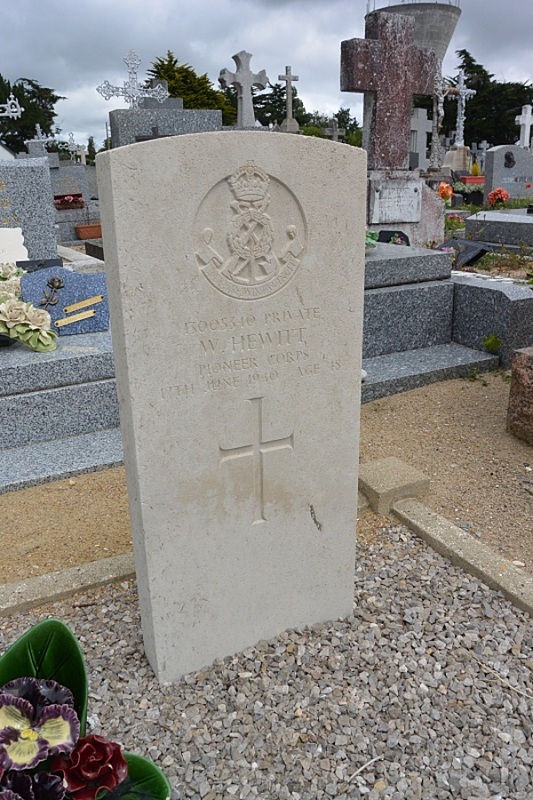 13005340 Private William Hewitt, Aux Mil. Pioneer Corps, died 17th June 1940, aged 48. Son of Samuel and Matilda Hewitt; husband of Lillian Hewitt (nee Rippon). 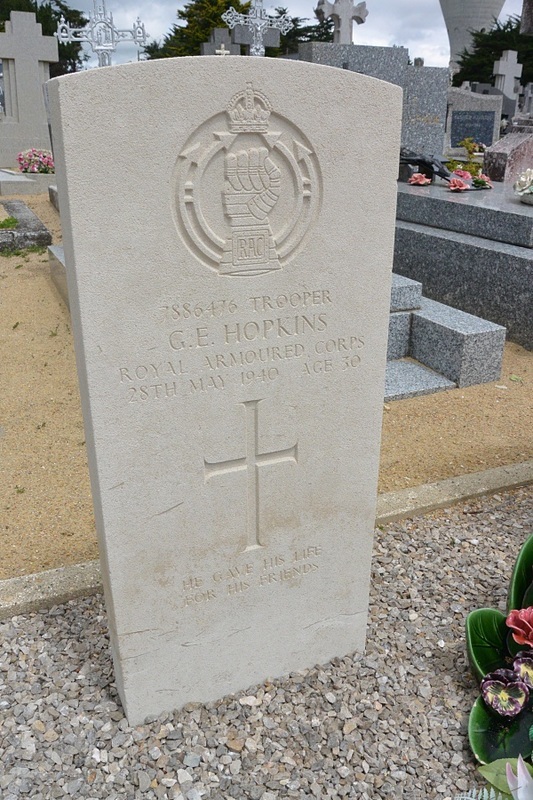 7886476 Trooper George Edward Hopkins, Royal Armoured Corps, died 28th May 1940, aged 30. Son of Joseph Charles Hopkins, and of Emily Ann Hopkins, of Tetbury, Gloucestershire.